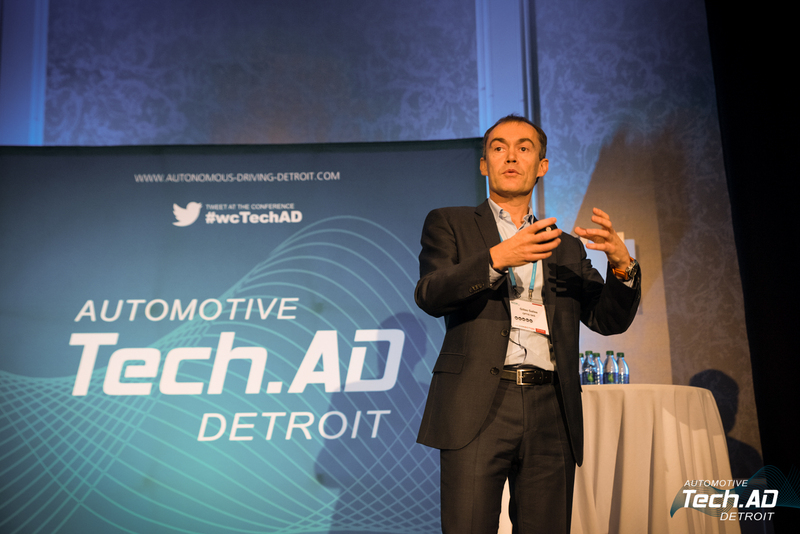 Tech.AD is the award-winning, global business event series for OEMs & T1s working on technical challenges for vehicle automation L4+. Join the Leading Autonomous Driving Race in the USA! 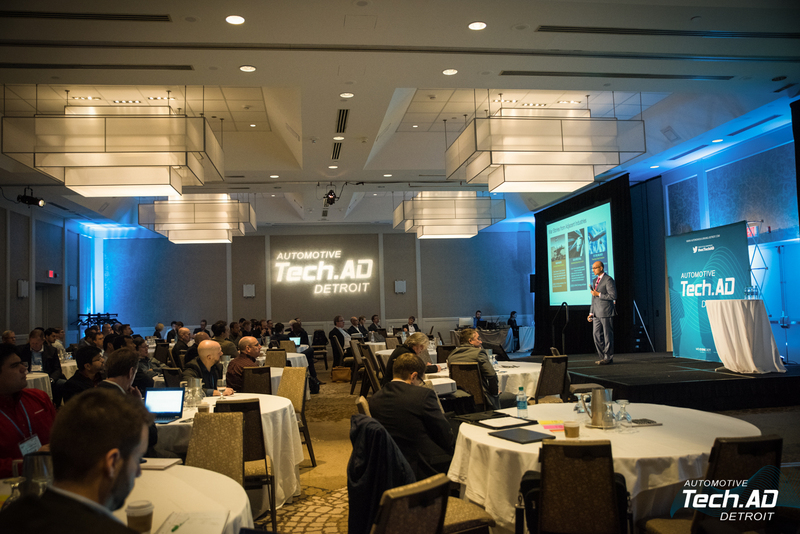 The Automotive Tech.AD is the U.S. leading knowledge exchange platform bringing together 250+ stakeholders who are playing an active role in the vehicle automation scene. Testing & Validation, Sensor Fusion, Deep Driving, Operational Safe Systems, Cognitive Vehicles, Software Architectures & much more. 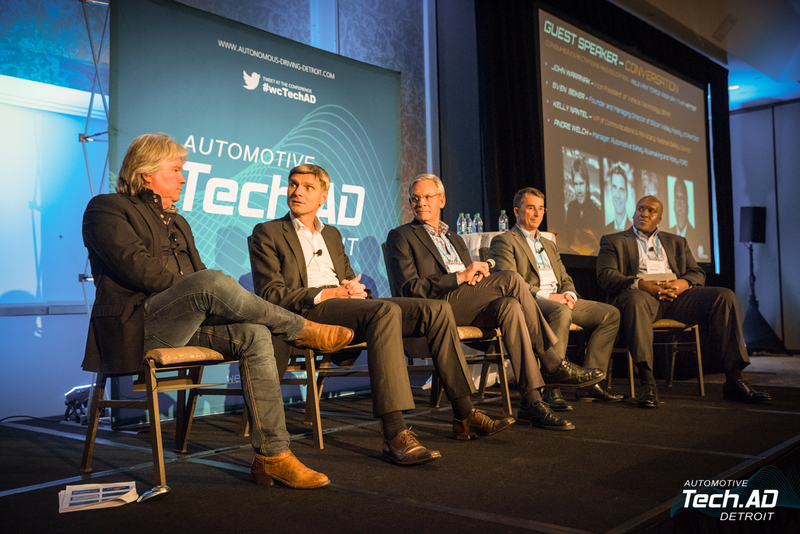 Join Tech.AD and discuss your roadmap for vehicle automation. Discover the next era of vehicle automation – Now! The Premier Automated Vehicles Event in the United States! JOIN OUR AWARD-WINNING, GLOBAL AUTONOMOUS VEHICLE DEVELOPMENT COMMUNITY NOW! Not sponsors. The Automotive Tech.AD is a unique event in the business & technology world because of our relationship with our partners. Our aim is to support our them to reach their targets and inspire innovation. Position your business as a thought leader at the Automotive Tech.AD and become a partner today! Thanks for organizing a great event! Perfect event to gain insights and improve my network. Great networking opportunities, really interesting talks and presentations. Engaging discussions on pertinent technical topics shared at an appropriate depth for a broad audience. Thanks for running a first-class event! I enjoyed the many relevant technical presentations and made good use of the opportunities to discuss common problems with the other participants. I’ve been working with we.CONECT Global Leaders for many years. Love the format! The interactivity really sets ut apart from other autonomous vehicle events! Thank you so much for the opportunity! I always love your conferences, great stuff! The social aspects were great. The technical level was great. The food was so good. And, the crowd was a nice mix. Thanks for putting together a great event. I look forward to an even more successful one next year. Manager-Advanced Engineering, Valeo North America, Inc.
What is the state of the most state of the art algorithms for computer vision and machine learning? What role will Deep Neural Networks (DNN) have in future self-driving cars and what will the associated challenges of this be? What are the implications of machine learning for functional safety? What level of traceability is possible with neural networks? How much real-time data and decision logs can we access? Can we really implement end-to-end learning or is it better use hybrid approaches? What are the key challenges in AI and perception technologies for autonomous vehicles? To what extent do edge cases define the development of autonomous vehicles? Which test cases can we cover with simulation and which not? Will virtual kilometers (simulations, HIL/SIL) be accepted as an industry validation method? What can we learn from the latest research in advanced, large-scale testing of autonomous vehicles and validation methods? What are the challenges behind using synthetic data for validation? Which kind of sensors provides the most value? How to push hard for cost optimization without comprising safety? Do we need deep learning for sensor fusion? Can radar sensors replace ultra-sonic sensors completely? Which sensors are most suitable for data fusion in close range? Which combinations of sensors will be required for robust machine perception in HAD? To what extent are high-resolution maps required for offering context information for scene understanding? How far can vehicle architectures solve the functional safety need for autonomous vehicles? What are the challenges to step from fail-safe to fail-operational architectures as a foundation of machine learning systems in autonomous vehicles? What is the case for a flexible fusion architecture? How to understand the system architecture for automated driving and scale-up system architectures? What are the challenges in the development and testing of fail-operational automated driving architectures? What are the newest concepts, challenges, use cases & game changers to the new AUTOSAR Adaptive Platform for Connected and Autonomous Vehicles? What are the key challenges in the Cybersecurity of Autonomous Vehicle Platooning? What are the different control algorithms? How do different wireless technologies perform in high-density truck platooning achieved with vehicle-to-vehicle (V2V) communications? What results and challenges do we see from the early deployment of autonomous shuttles and autonomous platoons? What data is already being collected, what data is missing and what are future research requirements? In what areas are ISO 26262 insufficient? Does SOTIF fully close the gap where ISO 26262 is insufficient? How to achieve functional safety for autonomous vehicles? How can we ensure functional safety with AI and machine learning? What do we still need to do to achieve functional safety for deep learning algorithms? How can we leverage V2V and V2Cloud communications to automate trucks? What can we learn from this for autonomous passenger vehicles? How will 5G drive and accelerate the development of autonomous vehicles? What new opportunities will 5G create for autonomous driving? What current challenges on the road to level 5 could 5G resolve? What information could now be transferred through V2V with the support of 5G and how can it be used in the processing of data collection from machine learning, sensors etc? 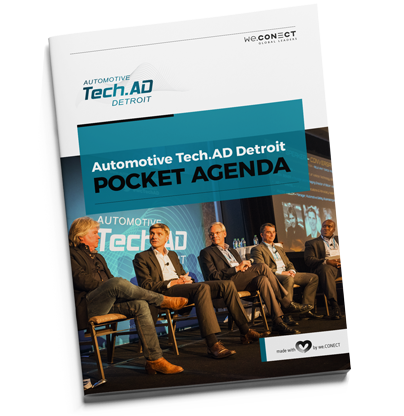 Discover who else is participating at the Tech.AD Detroit. Our unique Polaroid Picture Wall will help you identify who you want to meet at the conference. With the Tech.AD Award, distinguished expertise, and exceptional projects from within companies and organizations are exclusively recognized, celebrated and honored by we.CONECT Business Leaders. It is an excellent initiative, that aims at promoting the deserved reputation among the event’s delegates, partners and within the whole expert community. In this session, you will build and train convolutional neural networks for perception. 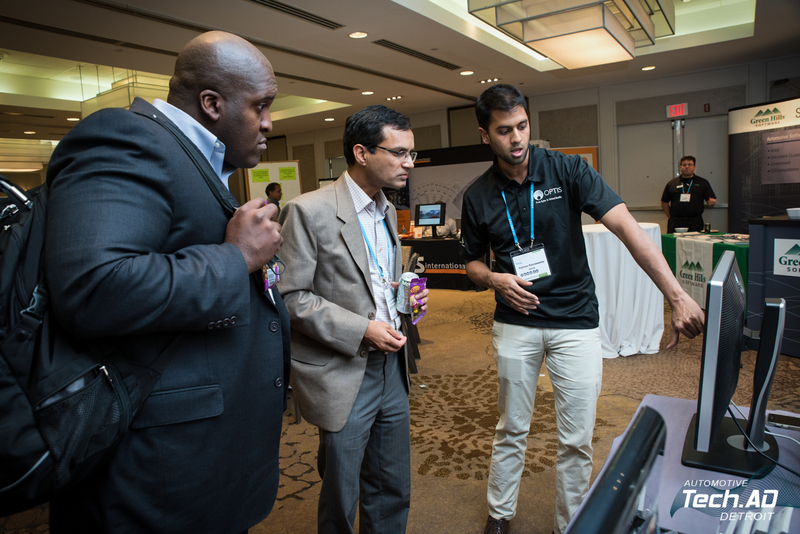 Our advanced educational workshops, delivered by industry professionals, will cover the advanced principles of developing autonomous vehicles and showcase the latest technologies in the fields of functional and operational safety, embedded systems and architectures, validation techniques and sensor/perception technologies.